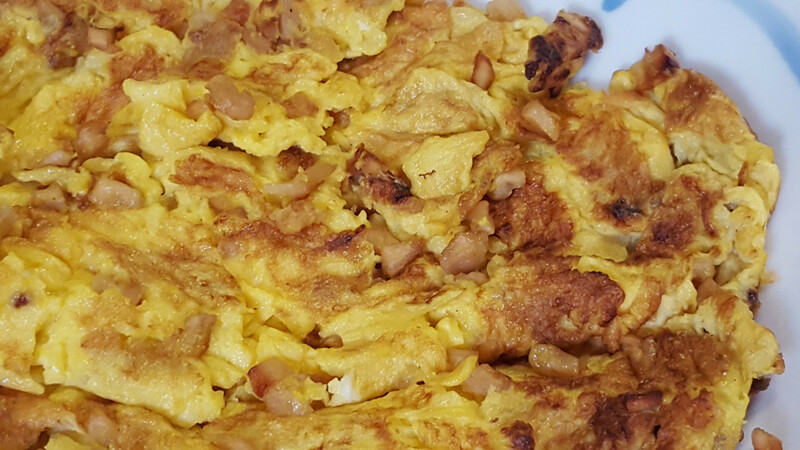 There are many different ways to prepare food. However, one very unique way to prepare food is to use a food dehydrator. I have recently rediscovered this wonderful kitchen appliance and have been drying fruits, vegetables and herbs. I've found that it is a great way to make sure I stay "honest" and use all my produce. This way, I end up saving money because there is no waste. If I think I have too many apples, for instance, to use up before they might be less than fresh, I can quickly and easily turn them into dried apples. The same goes for bananas, tomatoes and mushrooms to give but a few examples. I even dried garlic to make my own garlic powder because I had a large Costco bag of garlic I was afraid would never get used up. Let's take a look at some of the great ways that you can dehydrate your own food, save food, and save money. 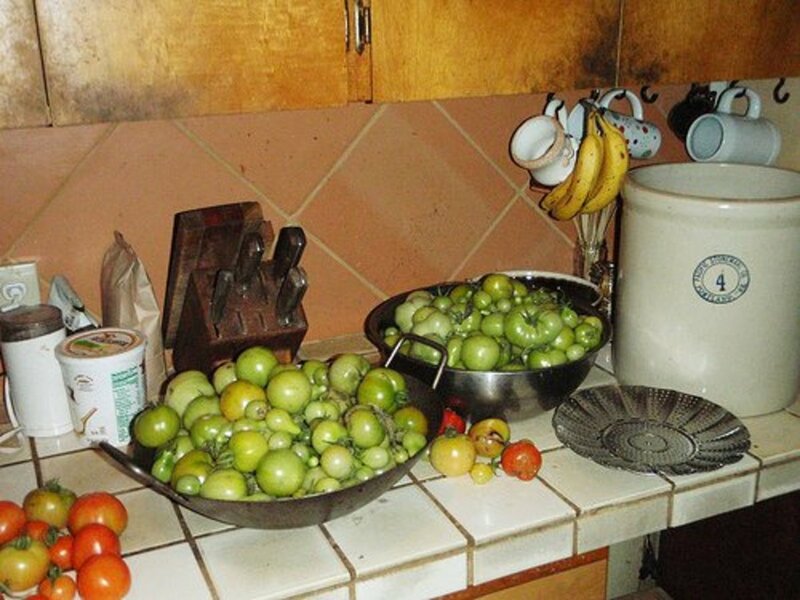 Drying vegetables is a great way to use up your vegetables and thus save money. 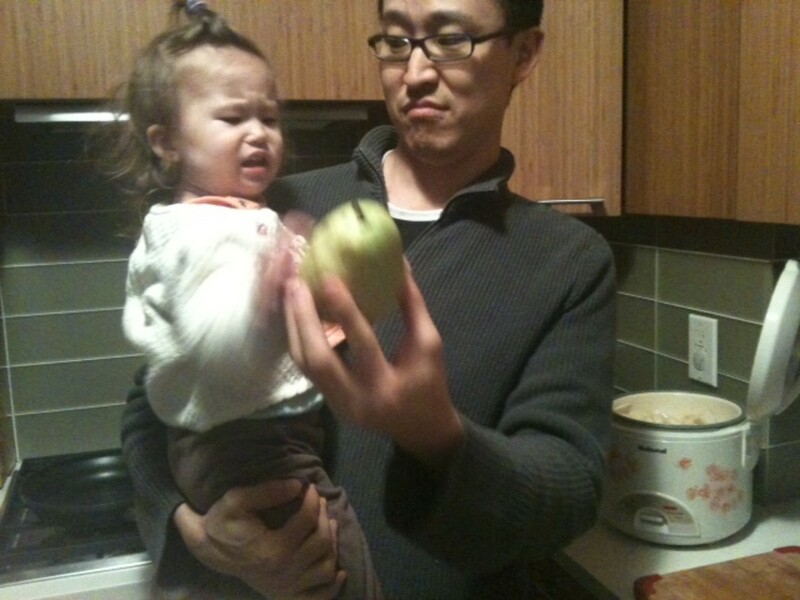 It's also a very convenient way to have vegetables on hand. You can dehydrate other vegetables besides the ones listed below but this gives you an idea of just how versatile dehydrating is. Some vegetables, if they are quite dense, require a blanching period. You merely blanch, wipe dry, and then slice into designated sizes. Dry the vegetables at 125 degrees unless you're drying mushrooms. Mushrooms need to be dehydrated at 90 degrees for 2-3 hours and then have the temp increased. Dehydrated vegetables can be added to soups or stews, or turned into a powder, like onions and garlic. Add to soups directly or rehydrate them for a few minutes before adding to allow them to plump up. You can dry just about any vegetable. For instance, dried sweet potatoes make excellent dog treats. 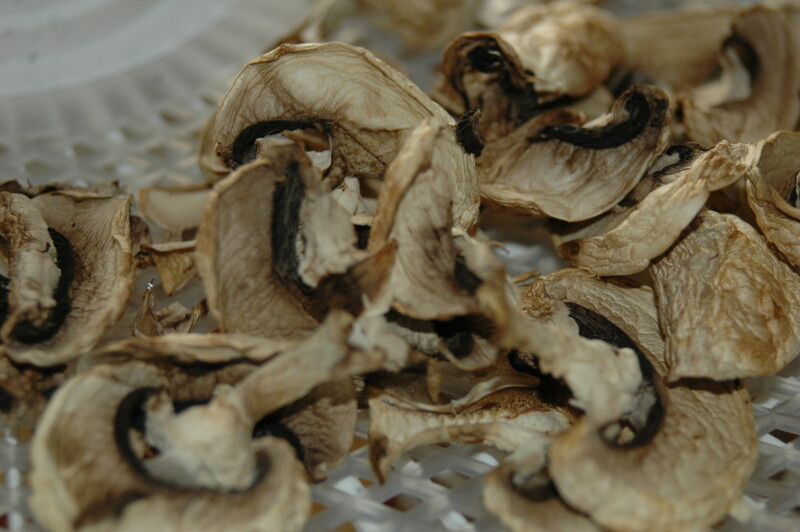 *Mushrooms -- Dry at 90 degrees for 2-3 hours, then increase to 125 degrees and dry for remainder of time. 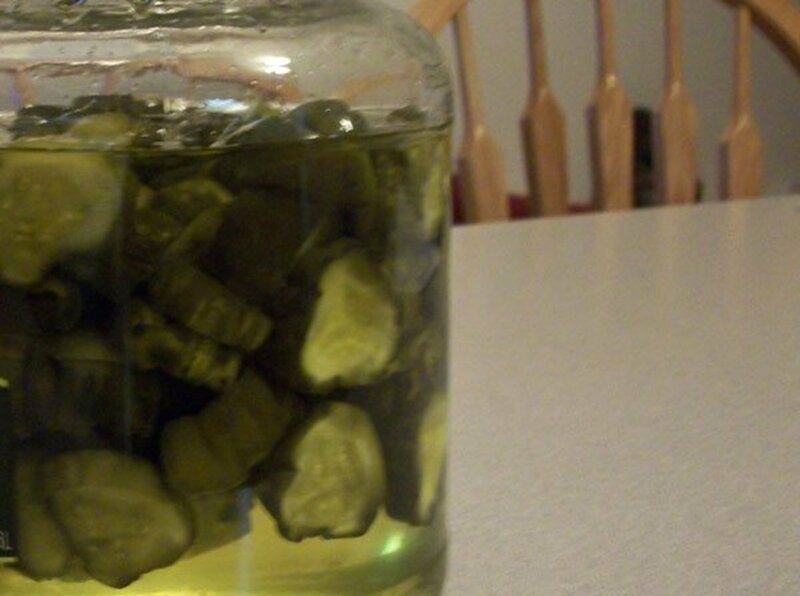 **Potatoes -- blanch for 5 minutes or until just translucent. Proceed to drying. Fruits are delicious when you dehydrate them. You can eat most dehydrated fruits "as is" without rehydrating. For instance, dehydrated apples or bananas go great in a steaming bowl of oatmeal, as do cranberries or blueberries. 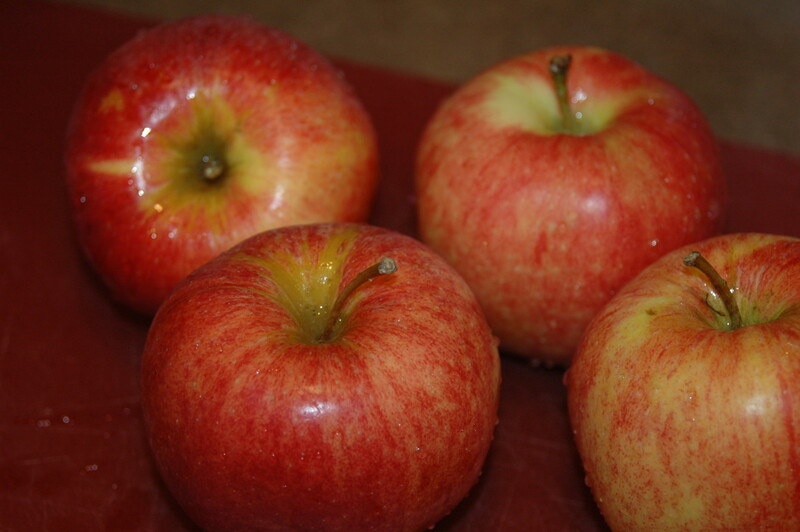 You can rehydrate apples for applesauce or for a pie. You can also mix and match so to speak and dry apples and pears at the same time for a delicious combination. 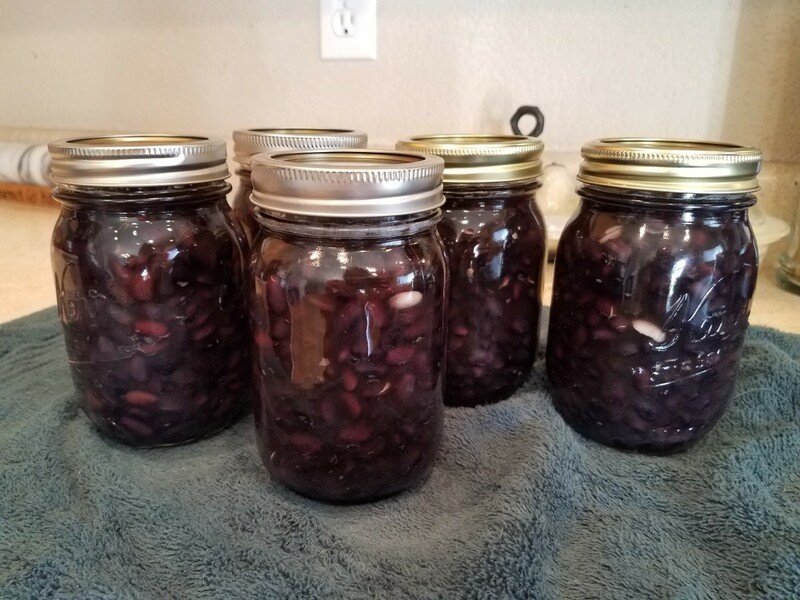 You can even dry canned fruit! Another possibility is making your own fruit leather with your food dehydrator. It's about as simple as preparing the fruit, whirring it in the blender and pouring it onto the trays. When my kids were little, I made this all the time. I buy organic apples so I scrub them really, really good and leave the peel on when I dehydrate them in the food dehydrator. They turn out fantastic, and I love that the extra fiber from the peel is still there. You can pretreat fruits to retard browning and give a longer shelf life. Pick up ascorbic acid mixes at the supermarket or you can use natural pretreatments like lemon, lime, pineapple or orange juice. Soak 5 minutes and place on trays. Dry fruits at 130-140 degrees. 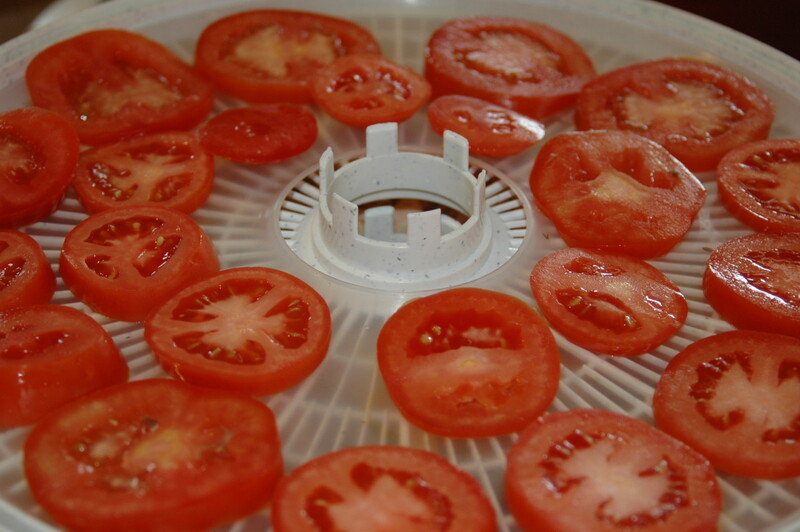 There are many more ways that you can put your food dehydrator to use as well. When prices are low for herbs or you have an overabundance of home-grown herbs, put your food dehydrator to work and dry your own herbs. Make your own dried flowers. Meats and fish can also be dried but at higher temperatures. Use your food dehydrator to make jerky. Make fruit leathers and roll-ups. Use your food dehydrator to dry things for craft projects. If you have a garden, make full use of your herbs by drying them during the season and especially towards the end of the growing season. If you don't have an herb garden, you can still make use of your food dehydrator by buying herbs that are in season. Stock up and "grow" your own herb and spice collection by drying them for later use. I routinely buy several flourishing basil plants for use in the kitchen during late spring and summer and as the plants start to fade off, I pluck off the leaves and dry them for later use. 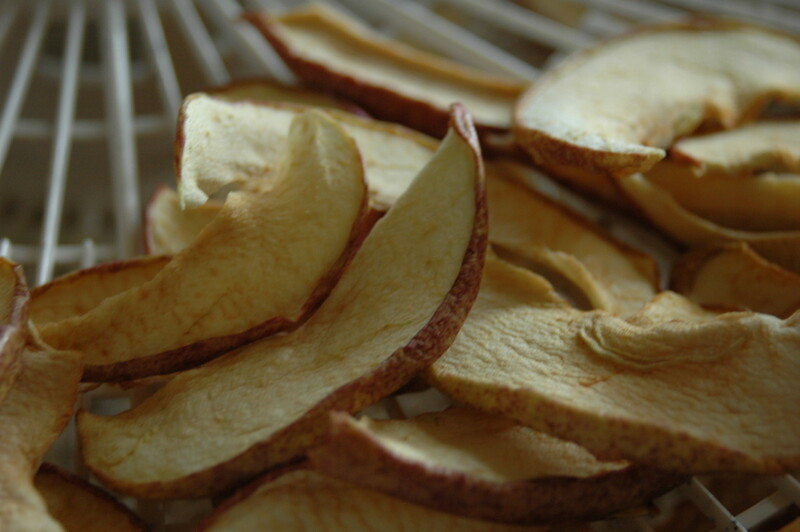 It is much easier than air drying or oven drying to use a food dehydrator! TIP: Remember that 1 teaspoon of dried herbs = 1 tablespoon of fresh. For drying herbs, there is little to do but pick the leaves (or stems and leaves if drying parsley), wash in cold water and pat dry. Put them in the food dehydrator at 90-100 degrees for the designated time and voila~! You have dried herbs to add to any dish you prepare. Prepare herb leaves, rinse in cold water, pat dry. Dry at 90-100 degrees. 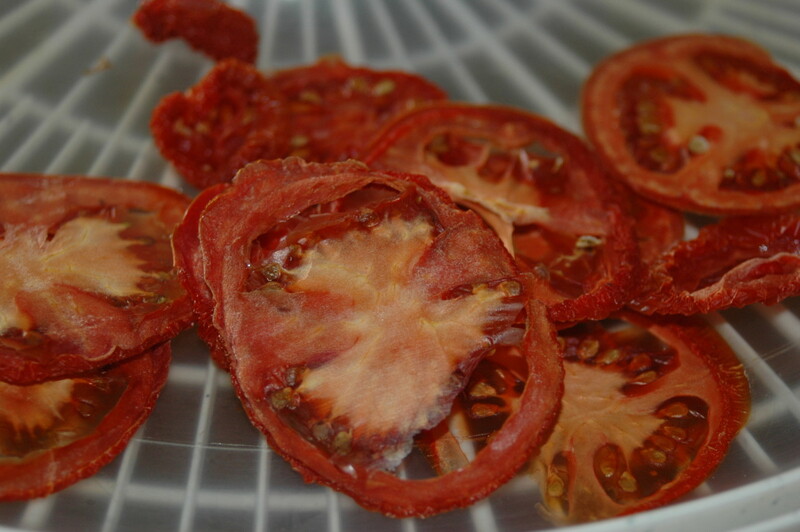 There are many reasons for learning to dehydrate your own food. Most importantly, if you learn to dehydrate your own food, you'll be putting money back into your pocket. If you think of the potential "return" on not wasting food, you will quickly see that learning to dry your own foods is really a bonus. Yes, there is an initial outlay of money for the dehydrator itself but it will pay for itself quickly. You also have the added benefit of drying pesticide-free or organic produce of your own growing if you are lucky enough to grow your own fruits and vegetables. Another added benefit is "putting food up" as they did in times past. In winter months, if you've dried things like fruits and vegetables, you will be able to enjoy the bounty of your food preparation efforts. 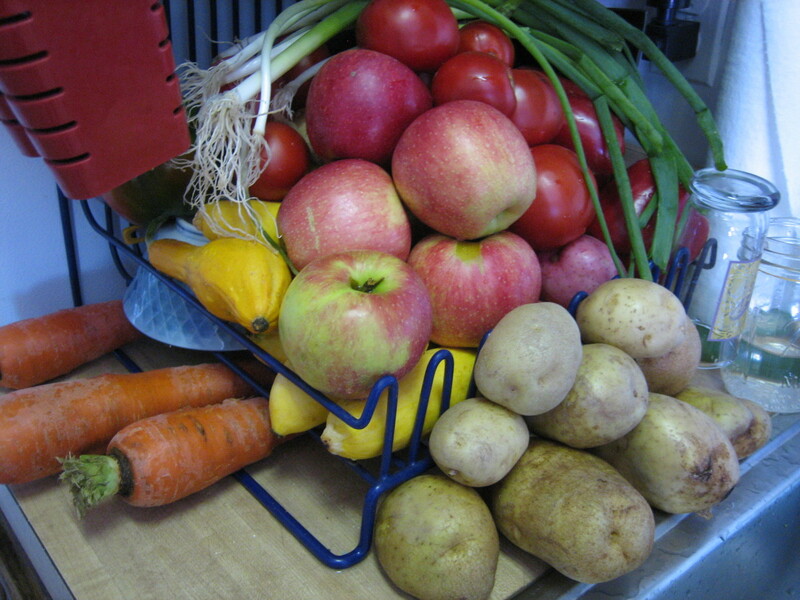 Drying fruits, vegetables, herbs, meats and fish is definitely on a par with canning and freezing foods. As a savvy shopper, you can also take advantage of sales and buy to your heart's content then turn your purchase into a food bonanza by using your food dehydrator. What about the nutritional value of dried foods? Foods that are dried retain all their nutrient properties except for a slight loss in vitamin C. Otherwise, calories remain the same, fiber remains the same and vitamins and minerals remain the same. In short, using a food dehydrator and learning to dehydrate your own food is a great way to maintain a healthy diet and save money. You save money simply by using up what you have before it goes bad and you avoid what we all hate to do which is throw away food. Worried about storing food that has been dehydrated? Most foods are easily stored in airtight containers. The beauty of storied dried foods is that they take up little to no space. 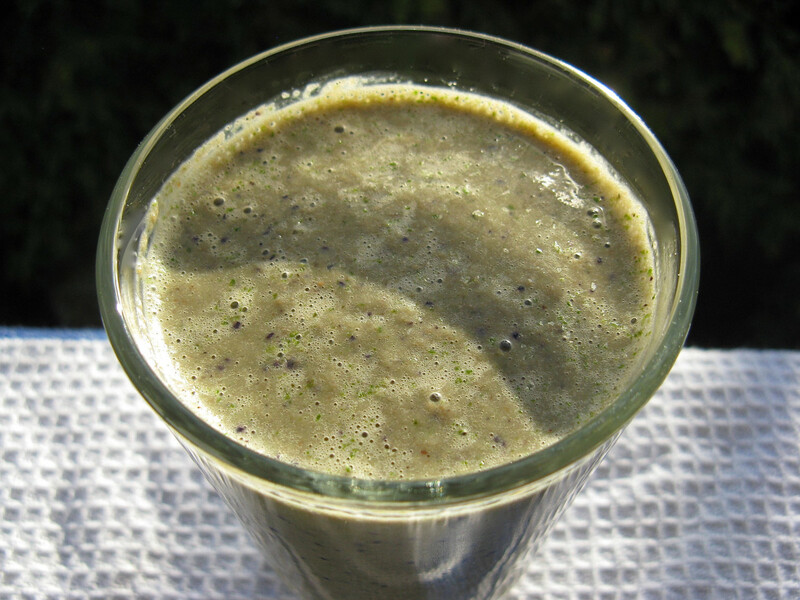 There are also many delicious recipes out there for use with a food dehydrator. Dried apple wreath - not to eat but how lovely! If you're looking for a way to save money and also a way to make food from scratch, investing in a food dehydrator is a sound investment. Learning to use your food dehydrator is both fun and informative. The foods you can dry and the recipes will keep you busy for a long, long while. I've only given you a hint at the many uses for a food dehydrator and hope you will discover for yourself how to dehydrate your own food. If you invest in one, I think you will be pleased you learned how to use a food dehydrator because it is a tried and true process of food preparation that has been around for centuries. If you have favorite recipes for how to use a food dehydrator, please share them with us in the comment section below. Is there a difference between top rack and bottom rack placement when dehydrating food? No, since the air circulates. Harvested a bushel of white onions, about half done. Two electric jobs and two solar. I'll crumble when dry and store,..Wife likes crumbles instead of powder. Next, a kid's wagon load of red potatoes, then whatever of a lug of peaches are left..then green beans, and next year's seed corn. Busy time of year. We have been cutting out the sugar in our diet as well as the kids diet, but they always get upset when they see other kids eating candy. We dehydrated many different fruits and they think they are eating candy because they still taste so sweet. We have also dehydrated canned fruits too. Great way to cut out the sugar and save money. Hey Robbie - I just use the trays - unless it is really mushy fruit it should be fine. If mushy, then I'd use the plastic liners. On the herbs just make sure they are spaced well apart and if they are small and crumbly, might want to use plastic liner sheets. I did mine with branches of herbs though and they stayed intact in the dehydrator, then I crushed them into ziploc bags when completely dried. It worked just fine without liners. did you have to use the fruit sheet to do dog cookies? also- what about the herbs, did you need a herb sheet, or can I just use the trays without purchasing the added accessories? I am new to this, getting my first ever dehydrator! Thanks for stopping in, Vitamin Monkey - it's the only way to go to save on food and save food! wow cool info. i think i might buy one of these. the dehydrated food looks yum! RT - Thanks for stopping by and for the tip! Thanks so much for this info and the charts. I've dehydrated herbs and fruits, but not veggies before. Figs make a wonderful dried snack! Thanks, Prasetio as always for the kind comment! Amazing..... Audrey, you always amaze me with your talent in sharing useful information like this one. Thanks for writing this. Again... I learn much from you. Rated up! Hanna - How neat! That sounds so delish!! I remember my grandmother laying out apples, pears and plumbs to try then used in the winter for deserts with custard or rice pudding. Crewman - you are always too kind! Thanks for the answer, Audrey. As always, you write about the neatest things, and make them interesting. Thanks, Nellie - have to check it out~! Crewman6 - They can just be kept in air-tight containers. Use at your discretion and just make sure you keep an eye on them but usually storing in cool, dark places in air-tight containers preserve them for a long, long time! Love the idea, had one question. Maybe I just missed it, but do the dried foods need to be kept cold or frozen, or just in the pantry? Bethany - Glad to be of help - I just remembered about this again myself this year and had a V8 moment! My parents used to dehydrate food - it was delicious! Thanks for reminding us of a great way to save money and eat healthy. JDB - Me, too - although mine are still waiting to be able to be let loose in the gardens (containers) since it is so blasted cold! TajSingh - Thanks so much for adding that because that is certainly the truth! Super Erin - What a fantastic thing to do! We are dehydrator junkies! Good job on the hub...great information and good details! We make the garlic powder and sell it at the local farmers' market...we sell out every time! Good stuff! Great hub. A food dehydrator not only lets you store food longer it also allows you to save money. Excellent hub, thanks for all the great information. Hopefully I planted enough in my garden to use one this year. 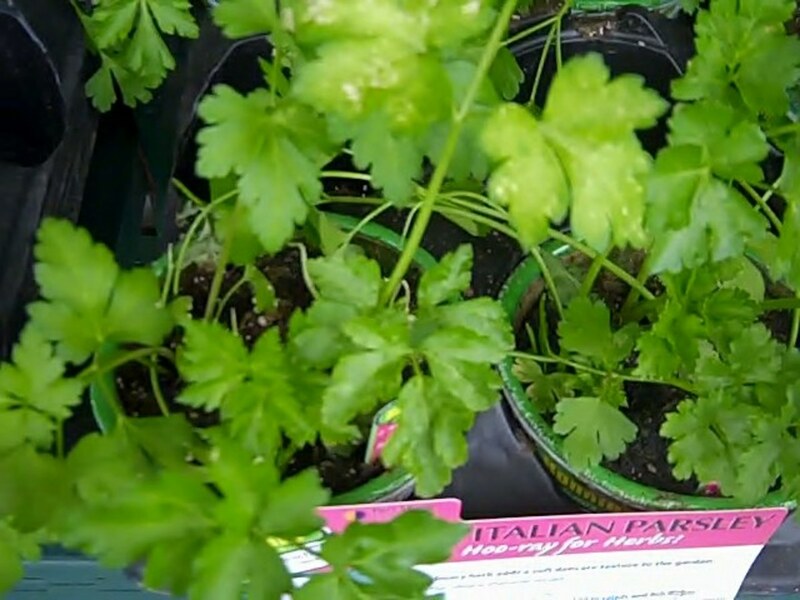 LLW - I agree - I have been planting so many herbs especially that this was a great investment for me this last year! So glad I ran across this hub. I've planted a large garden this year and have been pre-planning what method(s) to use to preserve my planned bounty. Dehydrating seems perfect to me. BJ - Thanks for the read and "dry" humor as always! I get dehydrated all the time all by myself, Audrey, so I don't need a dehydrator . . . Yet. Caramel corn in a dehydrator? Well I never! Taaduh - thanks for the read! Sounds like a great idea. Wow, so much great information! My dehydrator has been in the closet for years, time to break it out! Thanks for stopping by, Pamela - glad you liked. Irbis - I totally agree and thanks for the rating up, ladies. Excellent hub, my family has been drying wild mushrooms for decades, they last then for years if kept in cool place, and dried fruits are so nice as snacks. Rated up because it is such a useful information!! I like this hub as dehydrated foods are a great way to store food over a period of time. This hub is very helpful with all the instructions. Rated up.